Did you know that we also offer pick up and delivery services for items that you purchase in-store? No need to worry if that large piece of furniture you just bought will fit in your sedan. Our trucks are large enough to handle it, and our team will do all of the lifting! If the moving obstacle are stairs and sharp corners in your town home, we are able to jump over these hurdles! We have experience moving offices, town homes, single family homes, and more. We’ve dealt with any kind of interior layout you can think of and will accomplish it with respect to your home and your personal belongings. 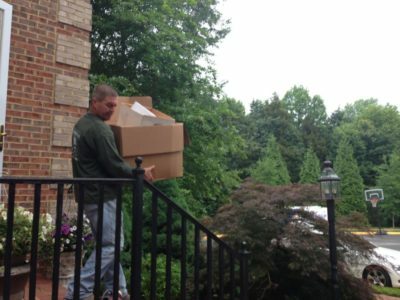 Contact Git It Moved today for a stress-free moving experience in Tyson’s Corner, VA! Need to Move Bulky Items Such as Furniture and Piano?